I have had a few boy nurseries that I haven’t shared yet with you all. This one in particular is almost finished and it is amazing!! I shared a little sneak peek on my Instagram awhile ago, but thought I’d show you what the design board looked like in comparison to the start of the design being implemented. 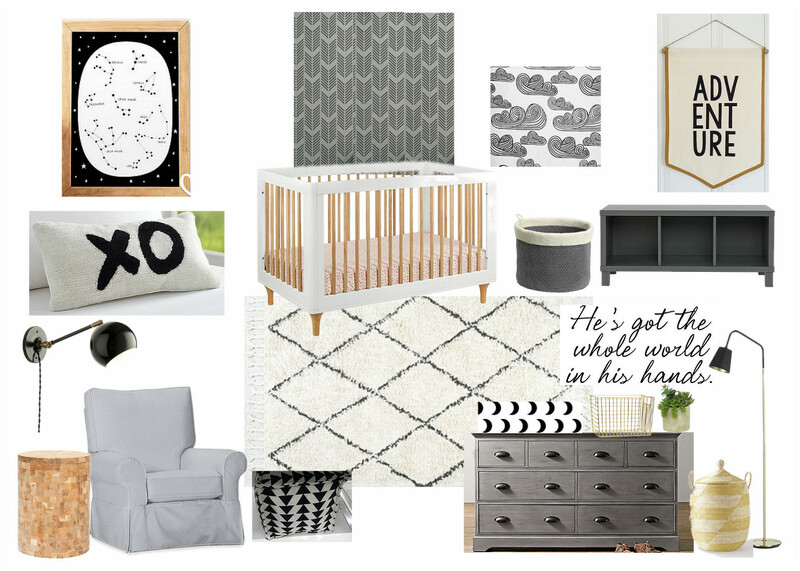 From the arrow stenciled accent wall, to my favorite Babyletto Lolly crib and how to die for is the Restoration Hardware dresser in gray? It is all too good. Amazing right?! I can’t wait to share the completed nursery with you all. Just allow me to email and harass my rad client for photos. Possibly the hardest part of my job is not being able to just drive on over to my client’s homes and snap pictures for them. It may be time for me to find some photographers in local areas to do the snapping for them….hmmm….any takers? Where is the stencils from?